Our purpose is to enhance recognition of Ontario’s capabilities as a leader in global aerospace markets and work together to build greater expertise to assure continued growth and prosperity. OAC fosters relationships between all stakeholders: industry, academia, researchers, governments and associations to gather and share industry intelligence, identify and facilitate funding as well as being an active catalyst for industry growth. 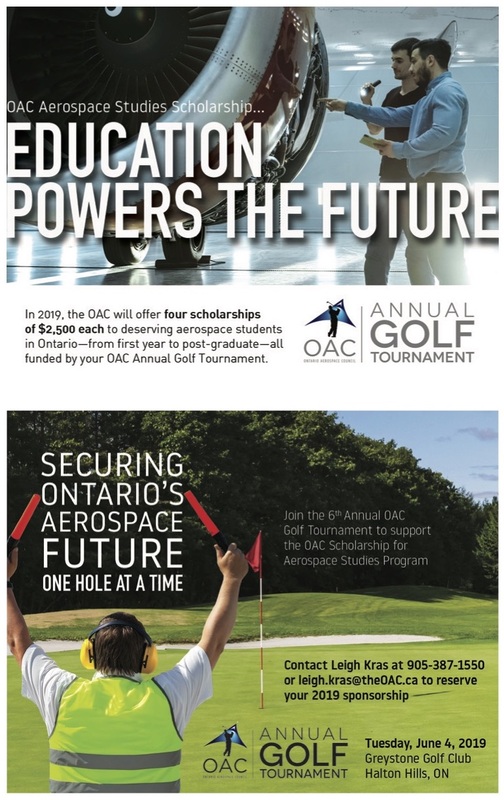 On June 4th, join us for a fun day of golf in support of our OAC Aerospace Studies Scholarships! Scholarship Application Deadline is May 3rd! 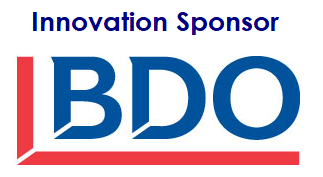 Have your registered for our upcoming events? Have a look at our Events Calendar! Our MEMBER PORTAL provides members with a comprehensive range of functionalities including member pricing on our OAC events. If you have not logged into our Members - ONLY section, we invite you to do so today! As an OAC member, you would have received an email from us with your unique username and password. Please note that you are able to customize both your username and password for ease of use, but they are both case sensitive. Do use the portal to make new connections with other OAC members by using the Member Directory and invite your contacts to discover the benefits of an OAC Membership. Don't forget to sign-in before registering for upcoming events! PLEASE UPDATE YOUR INTERNET BROWSERS for the best functionality. If you do not have the most up-to-date Internet Explorer or Firefox browser on your computer(s) our new website may be distorted and may not enable you to log into the Member Portal. It also helps, to minimize your browsers. Be advised that you should delete your cookies on a regular basis to avoid receiving error messages or log in issues. Download instructions on how to delete your cookies. 2019-01-24Need a Hotel and Bus Service to the Paris 2019 Air Show?